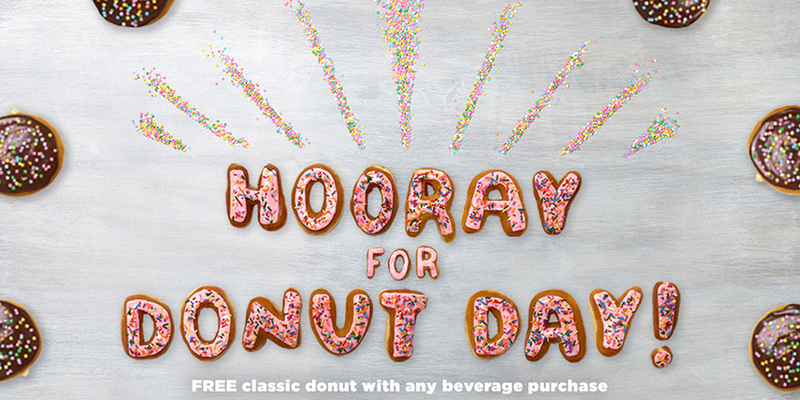 While it might seem like every other day is National [fill in the blank] Day, Dunkin’ Donuts is going all out on social media in honor of National Donut Day. Tomorrow, the Boston-area brand is debuting several features across multiple platforms to raise awareness for the unofficial celebration, including the company’s first sponsored lens on Snapchat. Dunkin’ Donuts will also be the first brand to sponsor a new type of video sticker on Kik. The feature on the messaging app feels a little like the types of face filters that are now popular on Snapchat and Instagram, but instead of integrating with a person’s face, the stickers just stick to it. “I’d say the dollars really do go where we see innovation and where the eyeballs are,” said Melanie Cohn, senior manager of digital and social media at Dunkin’ Donuts. 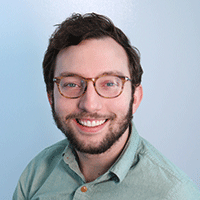 One of the most notable parts of the campaign is the use of video stickers, which will let users place smiling donuts on their faces during video calls. Another sticker lets donuts fall from the sky, while a third shows sprinkles going into a person’s mouth. It’s the first time a brand has sponsored the feature, which will initially only be available on Android devices. “We sort of came together and said what would be better than turning your face into a donut and eating a lot of sprinkles?” Cohn said. 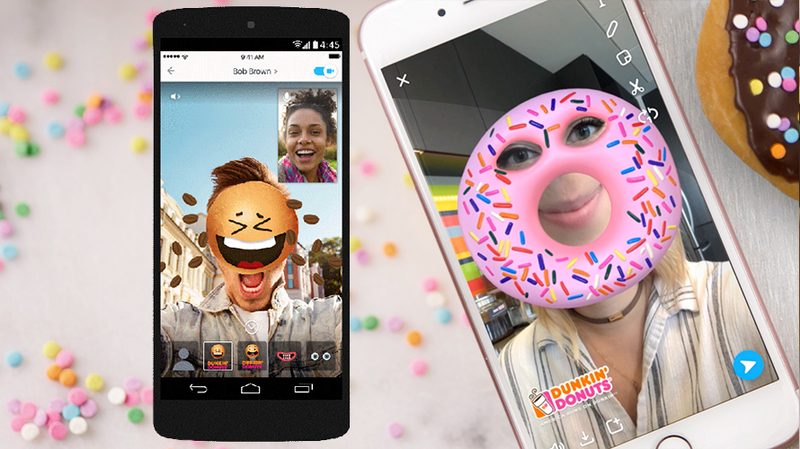 While it’s the first time the brand has created a sponsored face lens, it isn’t the first time Dunkin’ has used Snapchat’s AR technology. Last month, it was one of several brands that launched World Lenses on the platform to create floating 3-D images within ads. Collaborating with behavior food expert and Food-ology founder Juliet Boghossian, Dunkin’ Donuts and Microsoft teamed up to create a chatbot experience on Microsoft’s Zo for Facebook Messenger and Kik that helps users understand what their donut choice says about their personality. To interact with Zo, users can text the word “donut” to the chatbot before they’re guided through a questionnaire to learn more.